On Monday, a federal 3-judge court panel issued an unprecedented decision that is a huge victory for all of those voters of Wisconsin who want and deserve a real choice in their elections and a system of redrawing state legislative districts after each Census in a non-partisan, transparent and reputable process. 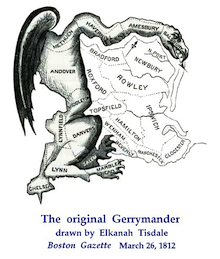 Never before in the nation's history has partisan gerrymandering been struck down as unconstitutional. Yesterday, that standard changed for the betterment of democracy – not just in Wisconsin, but nationally. For more on this significant and hopeful development go here and here. Federal Court Rules 2011 State Legislative District Maps are Unconstitutional Tweet this!